Recently released is a new book titled "Space Elevators: An Assessment of the Technological Feasibility and the Way Forward". The book is the result of a study conducted under the auspices of the International Academy of Astronautics (IAA) with 41 contributors. The major conclusion from the four-year study was that the concept of space elevators seems feasible. This report addresses the simple and complex issues that have been identified through the development of space elevator concepts over the last decade. The report begins with a summary of those ideas in Edwards' and Westling's book "The Space Elevator" (2003). Out of these beginnings has risen a worldwide cadre focused upon their areas of expertise as applied to space elevator development and operational infrastructure. 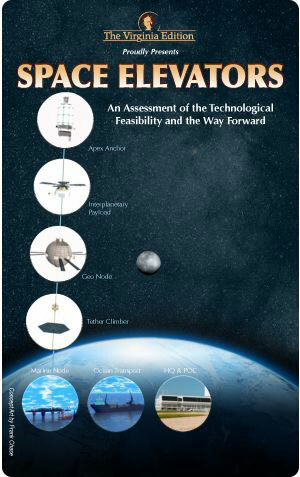 The report answers some basic questions about the feasibility of a space elevator infrastructure. A preview of the main questions and answers shows the depth and breadth of this Cosmic Study. - Why a space elevator? - How would all the elements fit together to create a system of systems? - What are the technical feasibilities of each major space elevator element? surface into space. The one under consideration in this report consists of a tether 100,000km long balanced about a node in geosynchronous orbit (GEO) and reaching down to an anchor point on Earth. Electrically powered spacecraft, called tether climbers, travel up or down the tether at far lower costs [currently projected at $500/kg] than using rockets. In addition, the service the space elevator provides is a cargo capacity/throughput of two orders of magnitude larger than present rockets, with tremendously kinder environmental effects, and a miniscule potential for future space debris. Tether climbers can continue to the apex anchor - the point at 100,000km altitude - where their speed is sufficient for direct interplanetary travel. The value and benefit of developing a space elevator infrastructure is even greater than earlier estimates, as it will change our approach to operations in space. Low cost, safe, reliable and flexible delivery of payloads to Geosynchronous Earth Orbit (GEO) and beyond could create an "off-planet" environment filled with opportunities ranging from commercial space systems to exploration of the solar system. Daily initiation of 20 metric ton climbers, safe delivery to GEO and beyond, and a projected price of $500 per kg, will open up the solar system and lead to many new commercial ventures. In addition, the radical change from chemical rockets and the low risk approach of climbing vertically at reasonable speeds will greatly reduce two major hazards that are dominant today: 1) the environmentally friendly, electrically driven, motors will have almost no hazardous material polluting the atmosphere, and 2) this delivery technique does not create orbital debris, especially in Low Earth Orbit (LEO). 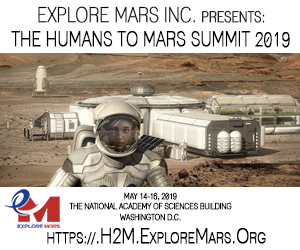 Another major benefit will be in supporting human exploration. The first ten years will enable massive movement of equipment to GEO and beyond. Human exploration can leverage this tremendous capability by assembling large spacecraft at GEO with massive fuel loads delivered at $500/kg. After ten years of operations, humans should also be riding to GEO. The benefits for humanity on Earth can be phenomenal. The ability to inexpensively deliver large quantities to orbit will enable capabilities stimulating an Earth renaissance. The facility to provide power to any location on the surface [space solar power satellites] will enable development across the world. Several examples are that Africa could skip the 20th century of wires while the outback of countries like India or China would not have to burn coal and the Amazon region could retain more of its rain forests. In addition, the increase in communications and Earth resource satellites will remake the emergency warning systems of the world. Some intractable problems on the Earth's surface would also have solutions, such as the safe and secure delivery - and thus disposal - of nuclear waste to solar orbit. dependent upon a strong, lightweight material that will enable the space elevator tether. The principal issue is material produceability at the strength, length and perfection needed to enable a 100,000km long tether. 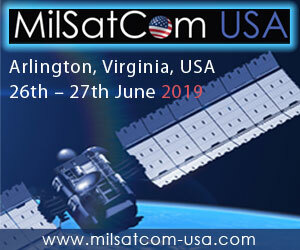 Almost all other issues surrounding each of the major segments have either been resolved in space before or are close to being space ready today. Only the tether material is at a high technological risk at this time. Chapter 3 goes into projections of material growth and increase in capabilities showing their potential with a good prospect of suitable material becoming available by the 2020s. chapters addresses one of the major elements of space elevator infrastructure. As the study progresses, the reader moves from tether material to individual segments to systems level analyses. This sequence illustrates the parts of a space elevator infrastructure and then shows the operational view as it all fits together. In addition, in the market and financial chapters, the development of future space markets are projected with their funding profiles for the next 40 years. 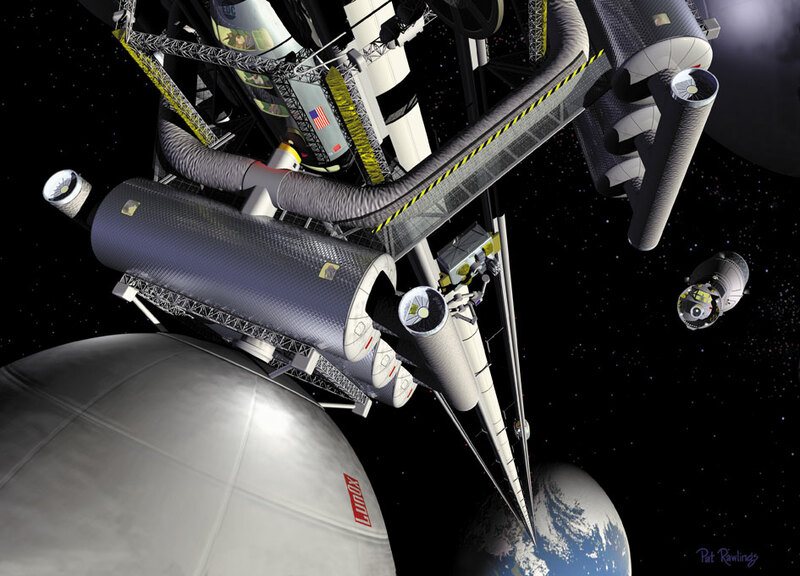 What are the technical feasibilities of major space elevator elements? Each of the individual chapters describes major segments of the space elevator and discusses NASA Technical Readiness Levels and Risk Management trades to ensure the technical feasibilities can be assessed. The space elevator roadmaps show the approach from the current year  to operational time periods. A factor for the future of space elevator infrastructure is the majority of components, subsystems, and segments have been developed before as components of other space systems [except for the tether material]. This leverage of 50 years' experience is invaluable and will enable development of space elevator segments in a timely manner. debris in LEO and beyond. It can be accomplished with today's projection of where materials science and solar array efficiencies are headed. The critical capability improvement is in the space elevator tether materials, currently projected to achieve the necessary strength to weight ratio in the next 20 years. The space elevator will open up human spaceflight and decrease space debris and environmental impacts. investment within 10 years after erection is complete. solutions to key problems, stimulation of travel throughout the solar system, with inexpensive and routine access to GEO and beyond. 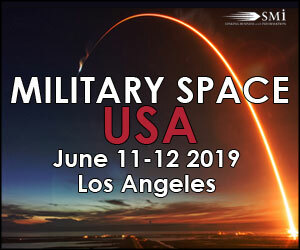 - The Academy establishes a Space Elevator Permanent Committee to coordinate efforts in space elevator research and development projects within National Space Agencies. focus would ensure a global enterprise. markets, such as the Space Solar Power or Asteroid Mining ventures. A Space Elevator appears feasible, with the realization that risks must be mitigated through technological progress and a Space Elevator infrastructure will be achievable through a major global enterprise. You can purchase the book from the Science Deck at Virginia Publishing. The ebook version is $9.95 and the harcover edition is $29.95. Recently released is a new book titled \"Space Elevators: An Assessment of the Technological Feasibility and the Way Forward\". The book is the result of a study conducted under the auspices of the International Academy of Astronautics (IAA) with 41 contributors. The major conclusion from the four-year study was that the concept of space elevators seems feasible.